Joseph was born in Charlotte, North Carolina, on 12 September 1882, the second child and eldest son of James Alexander Primm (1856-1934) and Martha Ann Virginia Deaton (1860-1932). He’s my paternal grandmother’s eldest brother. The family lived in the area of Charlotte known as Seversville and also had a farm out in the country. He had eight siblings: Margaret Jane (1880-1969), Ada Estelle (1884-1965), Arthur Leroy (1886-1970), William Frederick (1889-1935), Oliver E. (1893-1894), Myrtle Odessa (1897-1959, my grandmother), Arnold H. (1898-1915), and Ralph W. (1899-1901). After two years of high school (at about age 16), Joseph dropped out of school to work as a machine repairer. And with all those siblings, the family probably needed the extra income. By the time he was 20 years old, Joseph had moved to Kernersville, North Carolina. There he met and married Emma J. Volger (1881-1912) on 30 November 1902. 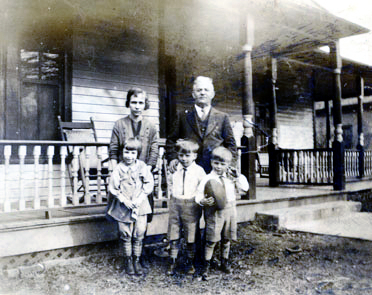 The couple moved to Charlotte where their first son, Ralph Eugene was born on 4 March 1904 (d. 1979). 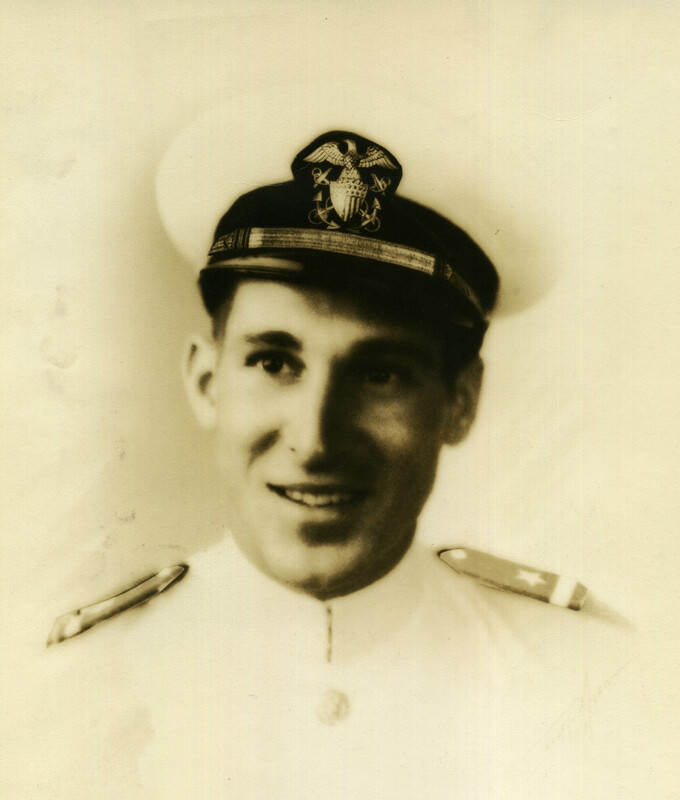 Son James Adkins was born in Charlotte on 14 November 1907 (d. 1955). Son Parks Kerner was born on 5 April 1910 (d. 1987) in Rome, Georgia, where Joseph had moved his family to become the superintendent at Rome Hosiery Mills. Alas, Emma lived only two more years, leaving Joseph to raise his three sons alone. Velma and Joseph Parks Primm with Claire, Billy and Daniel. In 1919 Joseph married Velma Maxwell, a stenographer at the mill where he worked. He took his bride and his three sons to Charlotte to live, but returned to Rome by October 1920 for the birth of his daughter Claire (d. 1999). He and Velma had two more children: William Berry (1922-2015) and Daniel D. (1923-2009). This is how I imagine a conversation went back in the early 1920s between Joseph Parks Primm and his wife Velma. Joseph was the supervisor at the hosiery mill in Rome, Georgia. And he took his wife’s advice and did think about making himself some work socks that would stay up without garters. (Dress socks already came with elastic at the top, but the heavier work socks were still held up with garters.) Along with Henry R. Berry and John M. Berry, Joseph invented an attachment for the cam box part of the sock-knitting machine that allowed two different sized yarns (or regular yarn and elasticized yarn) to come together and knit a sock with elastic around the top. Good-bye garters! The invention was patented in 1925. You can view the original patent document here. He and the Berrys didn’t stop there. They invented an attachment for the knitting machine that would convert it from a single-feed machine to a two-feed striping machine, which allowed the machine to knit with two different colors, creating a pattern in the socks. This patent was granted in 1926. You can view the original patent document here. If you’re wearing patterned socks with elastic in the top, you can thank Uncle Joseph! Joseph worked as superintendent in the Rome Hosiery Mills for the rest of his life. All six of his children lived in Rome their entire lives. He didn’t live long enough to know his grandchildren; Joseph died of a heart attack at home on 22 August 1945. He’s buried in Myrtle Hill Cemetery in Rome, Georgia.